Constructed by the Civilian Conservation Corps in 1939, just north of Linden, Virginia. Like many of the shelters along the Trail, the Manassas Gap Shelter resided on private land for many decades. Built from chestnut logs, the shelter is a simple lean-to with three walls, originally equipped with six wire framed bunks. Until the 1980s there were also bunks across the back of the structure, but these were removed in the 1980s during a restoration of the shelter brought on by a severe infestation of mice and field rats. A covered spring is just downslope from the shelter. According to the Bulletin of the Potomac Appalachian Trail Club (July 1939), the Manassas Gap Shelter (then called a Lean-to) repesented the first project "accomplished as a result of the ruling of Director Fechner of the Civilian Conservation Corps that, subject to certain conditions, the CCC could build lean-tos on privately owned lands." At the time of the shelter's construction, it was accessible by car via the Linden-Ashby Gap fire road, which would take visitors to within 250 feet of the structure. PATC Archives, Vienna, Virginia. Print Archives, Places M-R. 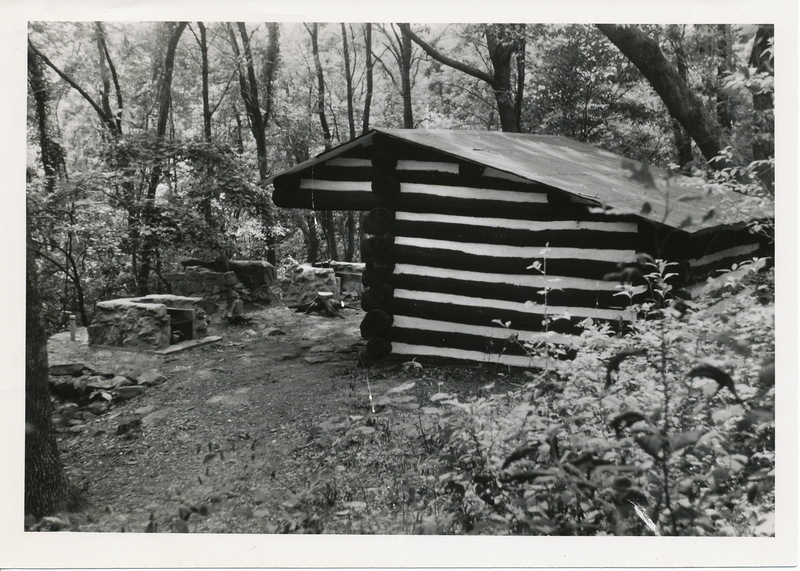 Unknown, “Manassas Gap Shelter (1965),” Appalachian Trail Histories, accessed April 23, 2019, http://appalachiantrailhistory.org/items/show/52.